As We Plow Right into 2018, Wishing You Much Happiness and Health! I’m not sure where 2017 went, but ready or not I’m plowing right into 2018! I’ve been very blessed in many ways, one of which is the way HaulProduce.com continues to have more folks signing up for our free subscriptions. This tells me you are finding worthwhile information here relating to produce hauling, as well as other news such as the health benefits of eating fresh fruits and vegetables. There have now been over 1900 posts published on the website since it was launched on January 12, 2012. Six years! Where has the time gone! The primary sponsors of HaulProduce – Allen Lund Co., Cool Runnings, and DMTB, I have personally known the owners a combined 105 years! They are all good, honest people that I can’t say enough good things about. The bottom line is they care about maintaining impeccable business reputations and they truly care about the trucking industry and particularly the hard working Americans that deliver well over 9o percent of the fresh produce to destinations across North America. So, here is a shout out to 3 of the finest men I’ve ever known – Allen Lund, Fred Plotsky and Jimmy DeMatteis. 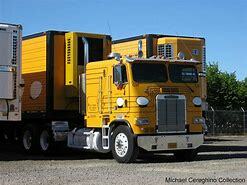 It looks like we are entering another cycle in the trucking industry. If you are old enough you have witnessed several of these over the years. The economy slows down, excess equipment is out there and freight rates plunge. Luckily, it looks like what started in 2017 is just really getting started with this new cycle in trucking. The economy is picking up, equipment and qualified drivers are harder to find, and freight rates are on the rise. Of course, we can always count on the federal and state governments to put a damper on things, particularly with more rules, regulations and taxes, most of which seem to do more harm than good, and often increase costs of operation. 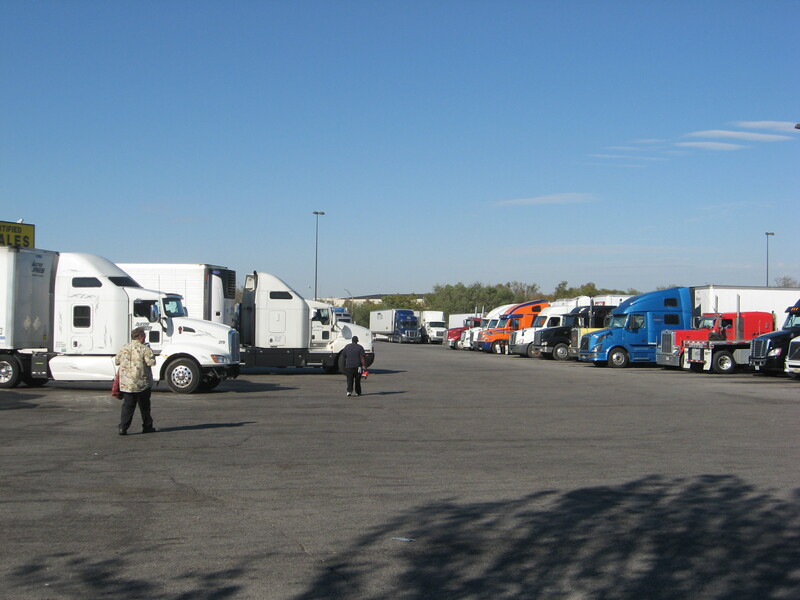 I continue to be amazed, especially with the owner operators and small fleet owners, that continue to persevere. Happy Thanksgiving! Come February HaulProduce.com will quietly celebrate its 5th anniversary of providing you with what I hope is information worth your valuable time ranging from active produce shipping areas, peak shipping periods, caution when needed about quality problems at shipping point, demand for refrigerated equipment, produce trucking rates, not mention health stories and other news related to perishables. Unabashedly this site is a proponent of healthy eating and promoting the health benefits of fresh fruits and vegetables. Fresh produce is a daily part of my diet. Today, there are nearly 1000 subscribers to HaulProduce and I cannot thank each of you enough. Since its inception nearly 1900 posts have been placed on this blog. 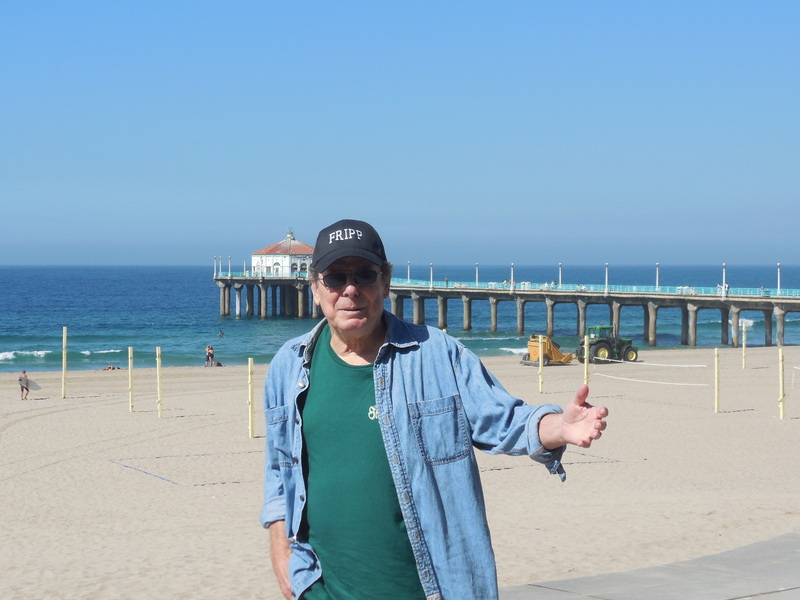 It has been three years now since retiring after 40-plus years traveling this great nation as a journalist writing about both the trucking and produce industries. It was this knowledge gained from both industries that led me to create the Produce Truckers Network back in the 1980s. At its peak it had over 60 radio stations across North America and also was on satellite radio for several years before its completion after 20 years on the air. The same concept exists today with HaulProduce. Although officially, retired, this outlet allows me to continue to doing something I love – and at the same time provide something useful to our subscribers. At the same time it allows spending more time with my kids, grandson and my lovely wife of 49 years. It is with all of this in mind I plan to fully enjoy Thanksgiving, to appreciate and give thanks for all the opportunities available in the United States of America. I will thank the good Lord for all those “highway warriors” that deliver over 95 percent of the fresh produce to markets across this great nation, as well as being thankful for everyone else in the distribution chain from growers and shippers, to all forms of companies involved in the distribution chain. It certainly doesn’t end up on our Thanksgiving dinner table by magic. May God bless each of you and have a blessed Thanksgiving. While TransFresh Corp. devotes plenty of resources to preparing fresh berries for in-transit travel to destinations far and wide, it also has specialists at the docks to evaluate product when it is ready to come off the truck. “We continue to be involved with tracking the product and how it is doing upon arrival,” states Rich Macleod of TransFresh Corp., known for its Tectrol® Service Network that provides covering for palletized product infused with CO2 (carbon dioxide), extending the quality of life for perishable items such as berries. With of the projects of TransFresh is partnering with the Scotland based company, Insignia Technologies that manufactures temperature sensitive labels that go on cartons. “What’s really intriguing about their technology is rather than it being a temperature switch, i.e., if a particular carton senses a temperature of 50 degrees F. or higher at anytime, it will change color,” Macleod observes. For example if a carton of berries is unloaded off the truck at destination, and it is showing a little warmer temperature verses other cartons, it can be put another truck for faster store delivery before other product with cooler temperatures. The same theory applies even at the retail store level. If a produce manager sees a color change with a carton, he knows it should be put in a display case to be sold before other products. This research is unique, Macleod notes, because the visual color change with the carton reveals any “abuse” of the product, anywhere along the shipping point to destination. Berries have always posed one of the higher risks for produce truckers because of in-transit perishability. However, because of research and technology the chances of a retailer being pleased with quality upon arrival at the dock are much better. That can mean fewer problems for the driver at destination. TransFresh Corp. of Salinas, CA has been at the forefront for decades in studying ways to extend the shelf life of strawberries, raspberries, blackberries and blueberries, among other items. Some of the technology research at TransFresh is resulting from the way strawberries are now being marketed, Rich Macleod of the company relates. Just take a look in the produce department at your local supermarket and chances are you’ll see more two-pound and four-pound strawberries in clamshell packaging being promoted, with less emphasis on one pounders. At the same time, raspberries, which are among the most perishable of berries, has been receiving extra attention. “We still need to learn how to correctly ship raspberries. At TransFresh we’ve had to make adjustments a couple of times for shipping raspberries,” Macleod releates. Much of that learning process relates to the Tectrol program where palletized fruit is sealed in a bag with CO2 (carbon dioxide) that slows product deterioration and extends the life of the product. Much of that approval is based on the color of the palletized bag, which determines on which load the product will be shipped. For example, raspberries may be in a green bag, strawberries in a red bag, etc. Additionally, all the bags are numbered. Among the most perishable produce items refrigerated haulers transport are berries. But a produce trucker’s risk of a claims or rejected load at destination is certainly reduced thanks to TransFresh Crop., the widely recognized leader of in-transit, pallet modified atmosphere service. The Salinas, CA based company, now approaching its 50th year of operation, offers fully automated pallet service systems which tailor the specific atmosphere mixture for each pallet unit. Benefactors of TransFresh’s Tectrol® Service Network range from shippers, to truckers, receivers, and ultimately the consumer. It is a process whereby pallets of berries are sealed with bags and infused with CO2 (carbon dioxide), a process that extends shelf life of the fruit. Rich Macleod of TransFresh says the Tectrol process continues to dominate the market share in the produce industry, but says there will always be competition. “If you want the modified atmosphere or the CO2 blanket for your berries at retail, it has got to be sealed and it has got to be at the right (CO2) level,” he states. TransFresh has a group of technicians conducting inspections at retail operations upon delivery of some loads. “We are pretty unique in this area. The driver shouldn’t be too surprised to see a technician standing at the back of his trailer taking readings of the atmosphere,” Macleod says. Feedback from produce truckers is appreciated by the technicians and those drivers appreciate what is being done, once the process is explained to them, he notes. Still, there are challenges. For example, there may be turnover at retail and a new produce buyer may be looking to cut costs, or a new strawberry salesman may be wanting to increase profit margins. However, Macleod says if part of that decision involves not using the controlled atmosphere bags on the pallet, that retailer is not going to get the pay back he expects. If you haul California strawberries, perhaps you have noticed some consolidations with some companies and down sizing of operations by others. Strawberry growers have been faced with increasing production costs and there has been a trend to focus more on growing raspberries, blueberries, etc. In-Transit IssuesBill Martin , California strawberries , feature , Rich Macleod , Tectrol , TransFresh Corp. It has been a memorable year for HaulProduce.com We’ll be noting, if not celebrating our 4th anniversary on January 12th, of providing you the most up to date information on hauling fresh fruits and vegetables as well as issues surrounding fresh produce that may affect you. We posted our 1300th item on December 18th. Those taking advantage of our free subscription continues to grow. This is where you are automatically notified of new postings. We have now surpassed 350 subscribers. I want to thank my sponsors, all of whom I’ve personally known 20 years or more. All of them represent the highest standards of honesty and integrity, and truly care not only about their customers, but the men and women behind the wheel of the big rigs that keep this nation moving. There is Allen Lund and Kenny Lund (Allen Lund Company), Fred Plotsky (Cool Runnings) and Jimmy DeMatteis (Des Moines Truck Brokers). If you are an owner operator, small fleet owner or some other type of long haul carrier, you are in good hands with these folks. TransFresh is another sponsor, but of a different nature. When you click on their ad it can open a lot of doors to valuable information for those involved with transporting perishables. Rich Macleod of TransFresh has a soft spot for the hard work ethic and the issues facing produce truckers, and he understands and appareciates the vital role they play. The challenge of not only finding produce loads, but being paid a fair freight rate, is just the start. Delivering that perishable product from point A to point B in a timely fashion, and in good condition can be equally as challenging. Hopefully, through HaulProduce.com we can play a small part in making your business more successful. As a veteran I had about as good a duty as you get. My first 18 months was in the Philippines. I was editor of a base newsletter at the Cubi Point Naval Air Station, plus I had an additional job as editor of the officer’s club newsletter at nearby Subic Bay. That meant $100 extra per month for an E-2 grade sailor right out of boot camp. As icing on the cake I had full access to the officers club since I interviewed and photographed acts performing at the officer’s club ranging from Johnny Mathis to the Ink Spots. From the Philippines I spent 2 months on a heavy cruiser based out of Norfolk, VA before transferring to a submarine base in Groton, CT, where I served in the public affairs office on the admiral’s staff, which included doing a Navy news program on local radio. 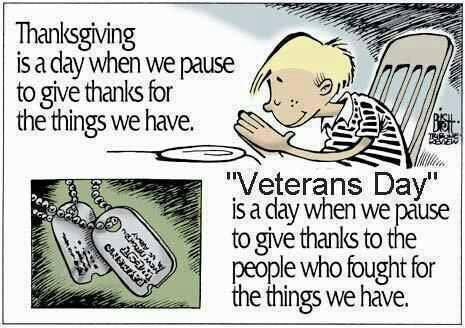 I point this out because today is Veteran’s Day – and I want to honor those that are the real heroes. I could have easily received duty where I may have been killed in a Vietnam jungle as 50,000 American heroes did, including a handful of friends I grew up with. I well remember flying home for leave from a U.S. Air Force base in the Philippines to Anchorage Alaska on a medivac flight that was filled with injured service men from Vietnam. Now those are real heroes. I’ve often thought that young people in America who have never spent time in poor countries, where poverty and sickness are rampant, often don’t really appreciate what they have here in the United States. Remember only a few summers ago when produce trucking rates from California to the East Coast were hitting $10,000? It hasn’t even come close to that in 2015 – and there appears to be a number of factors why. As we head towards the Labor Day weekend final shipments to receivers for the holiday are now underway, if not already delivered. Don’t expect major rate increases. East bound coast to coast rates in the summer of 2014 that were in the $8000 range are closer to $6500 this summer. Here’s my take on why produce trucking rates are off. ***Less California Produce Volume. The 5-year California drought is beginning to take its toll on agriculture and it’s going to get a lot worse unless the El Nino weather pattern in the Pacific Ocean changes things this winter. The San Joaquin Valley is being hit relatively hard by the drought and it is adversely affecting volume on many crops ranging from cantaloupe and honeydew and other melons to stone fruit, tomatoes and citrus. In the Salinas Valley, which has not suffered from the drought as much as in the San Joaquin Valley, all types of lettuce volumes have been like a roller coaster this summer. The highest rates from California to the East Coast this year have been in the $8,000 range, and those were only for a limited amount of time. ***Rail Competition. While the railroads provide only limited competition, it still has an affect of produce trucking rates. After all, the rail rates are based trucking rates and often offer 10 to 15 percent less to haul. Still, we’ve seen a couple of rail related companies go out of business this year. The railroads have a history of dropping produce related services for other, less perishable products. ***Rules and Regulations. The insanity of excessive rules and regulations from both the federal and state levels continues, and it is having disasterous effects on owner operators. Rates are not keeping up with increasing costs of operations, although lower fuel prices have helped. Still, when you have the California Air Resources Board and their emission standards and other business killing rules, plus the feds pushing to implement Electronic on-board Recorders, not to mention many others, it all adds up. The lack of qualified drivers continues to be a problem, although it could become a lot worse when the economy turns around. Attracting young people into the trucking industry continues to be a challenge. It’s a hard life and there’s certainly easier ways to make a living. ***Mexico. Over the past 20 years more and more produce is being grown in Mexico, and much of it is being driven by investments from American farming operations. Mexico has cheaper labor and less government interference in their operations. At the same time there is less produce being grown in California — Bill Martin. Kenny Lund doesn’t argue with the American Trucking Associations annual study, American Trucking Trends, which shows independent truckers and leased owner operators making $56,167 on average in 2014, which was 7 percent more income than the previous year. 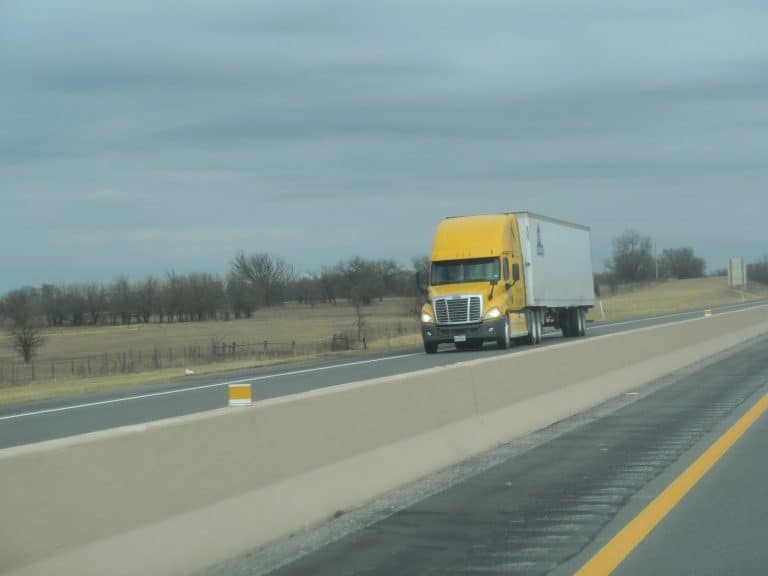 However, the vice president of operations for the Allen Lund Company, a third party logistics provider, says freight rates still aren’t increasing enough and operating costs are high. For example, gasoline in California is $4 per gallon, while Number 2 diesel is about $3.50 per gallon. Take on excessive government regulations, plus an economy that leaves a lot to be desired, and Lund doesn’t see the freight rates keeping up with other costs. “Truckers are making more money, but the rates aren’t up as much as expected, and the economy was expected to be much stronger,” Lund says. He points out produce trucking is still dominated by companies with five trucks or less. He recently heard someone point out if all access to Los Angeles was cut off, there is only a four-day supply of food available. Lund calls that thought “sobering” and notes people just do not realize what a great transportation system has been built in this country due to all of the small companies working together. “With the efficient distribution system throughout the U.S., you can pretty much get strawberries anywhere in the U.S. the year around, and this is true with most major commodities,” he says. As for Allen Lund Company, he is particularly excited about a division of the firm, ALC Logistics. He developed the company’s Transportation Management System, building it from the ground up. It is the first one created and provides software solutions ranging from claims management to freight audits, and carrier contracts, among other features. “It is pretty exciting. We are running about $1.4 billion through the system, working with the companies we have now, and we are just getting started,” Lund says. As for the trucking industry itself, Lund is very interested in the development of driverless trucks. For example the technology is now available where you can follow someone on I-40 from New Mexico to Arkansas and never touch the steering wheel. He sees this addressing problems associated with hours of service regulations. “I think we’re only five years or less away from it (driverless trucks),” he notes. Many folks involved in fresh produce transportation are wondering what is going on in California. Despite the state growing and shipping about one-half of the nation’s fruit and vegetables, rates have remained relatively flat during the heaviest volume period of the year. 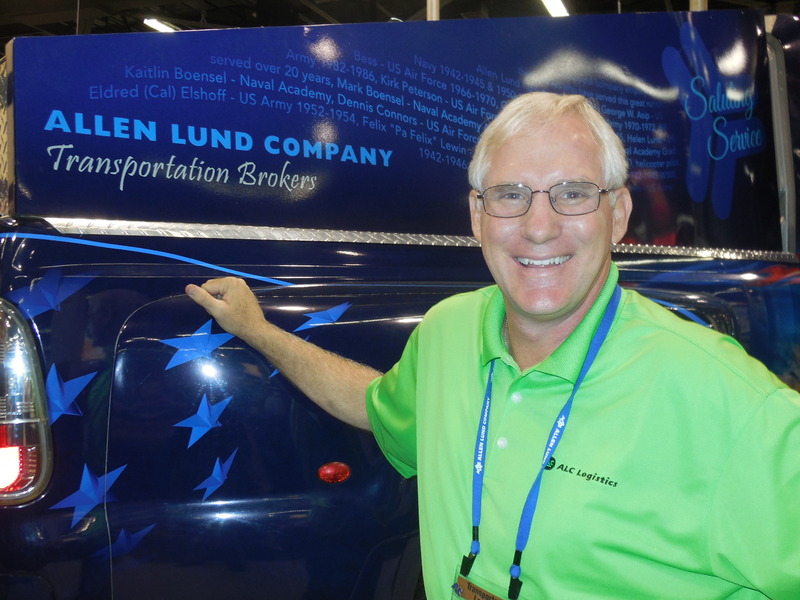 In search of answers, we turned to Kenny Lund, vice president of operations for the Allen Lund Company of La Canada, CA, a transportation brokerage and logistics company that has been in business nearly 40 years. He also cites production and shipping increases from Canada, as well as boat arrivals with imported produce from around the globe. While acknowledging the drought has a lot to do with it, Lund sees an attack by environmentalists on the California agricultural industry as being a factor. He points to cuts in water allocations to agriculture and water going elsewhere due to environmental reasons. He says there has been somewhere between 400,000 and 800,000 acres of California farm land being placed out of production. Similar to a statement Lund has made many times about the over regulation of trucking, he says the excessive regulation of farms is “amazing.” For example he recently talked to someone in charge of compliance with a California farming operation and was told she had to answer to 42 different government agencies. Lund believes this a contributing factor to Allen Lund Company having more produce loads than ever crossing the border from Mexico into California, Arizona and Texas. Each of these factors are contributing to what he calls a “historic” shift in produce shipments from California. Lund talks of the Autopista Durango-Mazatlan, a 143-mile highway spanning from the growing regions of west Mexico to Texas ports of entry that opened last year. As a result business in McAllen, Tx is booming. While California produce trucking rates are remaining rather flat, Lund says rates are up significantly in Texas, New Mexico and Arizona. At the same time, Florida is “mixed” because it has a very similar growing and shipping season to Mexico with which it competes. Still, he notes Florida does not have nearly as many regulations, plus that state has plenty of water.